Yesterday morning another marijuana grow house operation was broken up by Elk Grove Police. Shortly after 7 a.m EGPD Detectives served search warrants on the 8400 block of Camino Vista on the city's north side, near Calvine and Waterman roads. 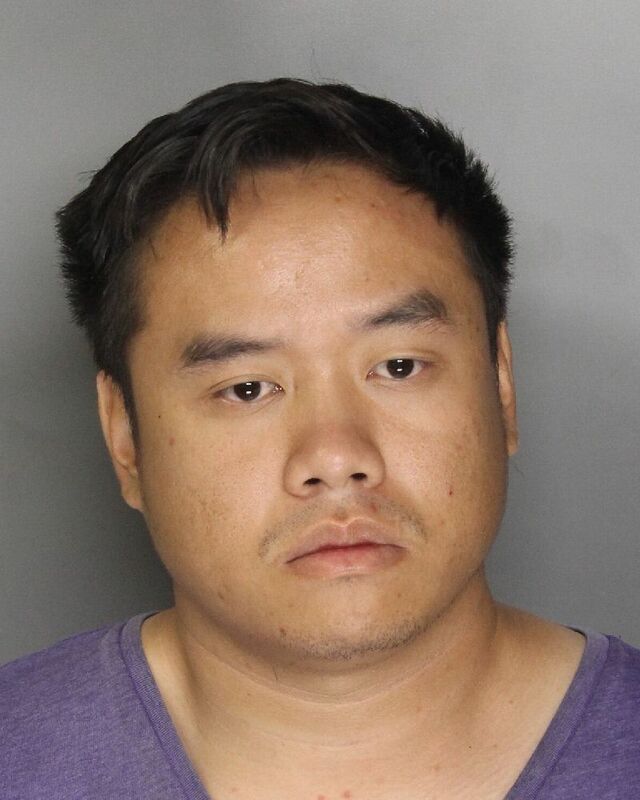 Upon their search officers discovered over 400 marijuana plants and indicia of sales. 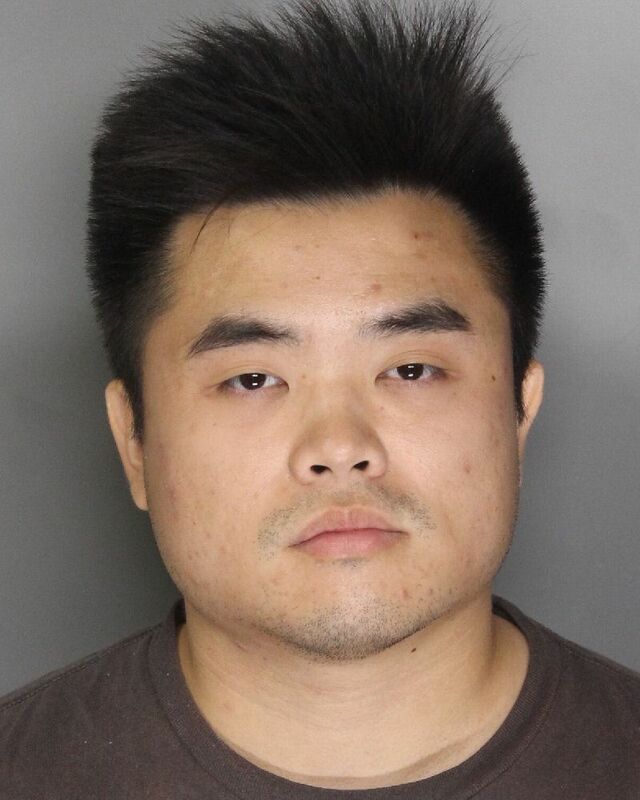 Two suspects, Kang Jie "Jack" Chen (below left), 27, and Kendrick Rong Chen (below right), 28, both of Sacramento, were arrested and booked into the county jail. Both suspects face multiple felony charges and because of the seriousness of the charges, neither is eligible for release. Arraignment is scheduled for Monday afternoon. "Last fall, narcotics agents confiscated thousands of marijuana plants, many 10 feet tall, from a 140-acre farm just on the edge of Fresno - one of the biggest pot busts in the county's history. The pot grew hidden among rows of rotting peppers, tomatoes and bitter melons, tended by a dozen immigrant farming families. Deputies detained 50 people, all of whom were lowland Laotians, a refugee population from Southeast Asia that has made its home in California's Central Valley over the past three decades. Investigators say that some of these traditional vegetable growers have become increasingly involved in well-organized medical marijuana growing schemes, with the aim of selling the drug commercially. The Laotians' involvement has expanded in recent years, with the move toward growing pot in California's agricultural heartland. Now, authorities say, people from this relatively small community account for much of the pot growing in backyards and on prime farmland, while Mexican drug traffickers dominate pot farms in the forests of surrounding mountains. There are many more Laotians involved in the agricultural grows than Mexicans," said Lauren Horwood, spokeswoman for the U.S. Attorney's Office in the Eastern District of California, which conducted several prosecutions of lowland Laotian growers last year. The problem has become so widespread that the U.S. attorney's office is producing a brochure in Lao and plans a television program on a local Laotian channel". Is Chen a Lao last name? No. If these guys are Laotion, I'm Barry Soetoro.